If you’re seeking a walk through a leafy forest or a challenging high up a rocky peak, check out these U.S. national parks. Located on Mount Desert Island and the Schoodic Peninsula, on the northern coast of Maine, this U.S. national park attracts hikers and water sports lovers alike. This U.S. national park in the center of South Carolina is relatively new to the national park system, joining in 2003. This park follows the Cuyahoga River between Akron and Cleveland, offering miles of hiking trails, waterfalls, a scenic railroad and a restored section of the Erie Canal. 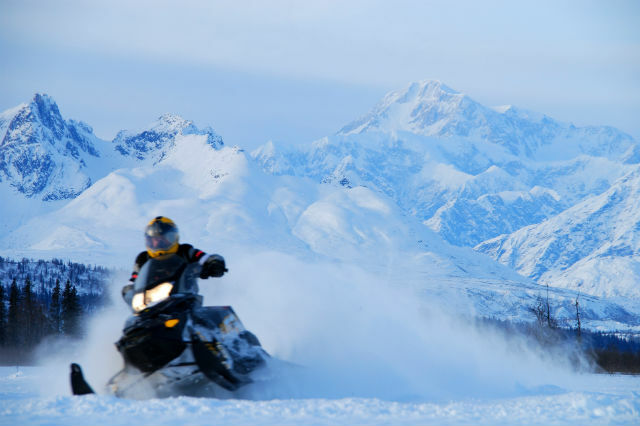 This six-million-acre expanse in Alaska’s interior contains North America’s tallest mountain, the 20,310-foot-high Denali. This untouched preserve, nearly 8.5-million acres, is the northernmost U.S. national park, as well as the second largest. With no roads, no services, and no cell phone service, this park for the expert outdoorspeople only. 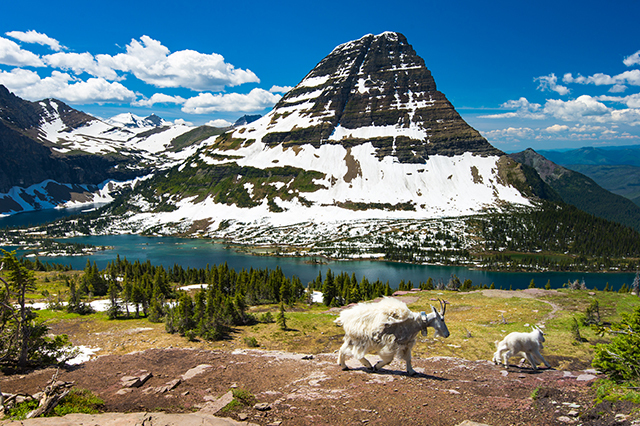 Located in Montana’s Rocky Mountains, this park is best known for its glaciers, after which it is named. The Going-to-the-Sun Road offers a scenic road trip through the park. The mountains and fjords of Glacier Bay National Park, in southeast Alaska’s Inside Passage, offer numerous opportunities for marine wildlife viewing, as well as large mammals – moose, bear and wolves – on the shore. This 310,000-acre park is located in the northwest corner of Wyoming. Visitors can explore the Teton Mountains, as well as the ski town of Jackson Hole. The most-visited park in the U.S. National Park Service, Great Smoky Mountains National Park straddles the border of Tennessee and North Carolina. The landscape includes both dense forest and meadows filled with wildflowers. This sprawling park in the Chihuachuan Desert in west Texas is filled with salt dunes, grasslands and the world’s most extensive Permian fossil reef. This park is best known for the adjacent city of Hot Springs, where visitors can partake in spa activities. Located just south of Seward, Alaska, this park is named for the numerous fjords found there. The park also contains one of the largest U.S. icefields, the Harding Icefield. North of Sequoia National Park, this park is named after the mile-plus-deep Kings Canyon. Visitors will also find multiple high peaks and meadows. 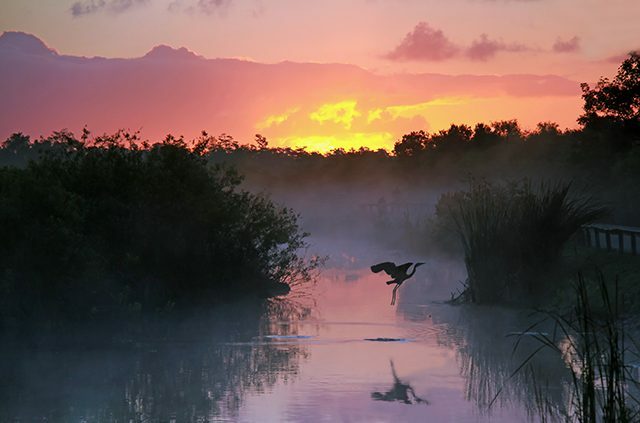 This 1.5-million acre park is made up of grassy marshes, mangrove swamps and pine forests. 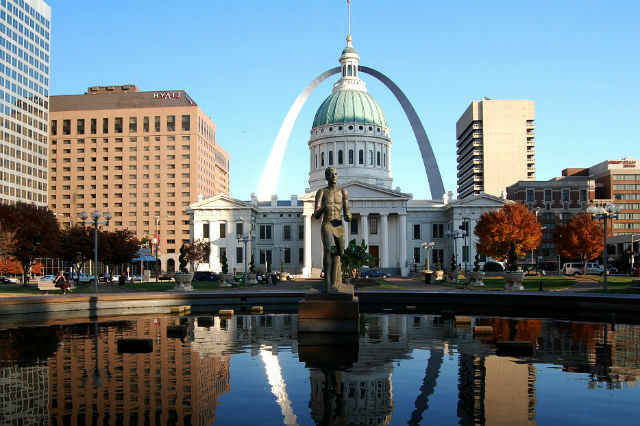 Several endangered animals species call this area home. Located 25 miles north of the Arctic Circle in northwest Alaska, Kobuk Valley National Park is home to massive herds of caribou. This park in central Kentucky contains sections of Mammoth Cave, the largest known cave system in the world. Visitors can explore a portion of the 405 miles of subterranean passageways. This U.S. national park, found in northern Washington State, contains more than 300 glaciers amid its wilderness. The North Cascades Highway brings sightseers past many of its highlights. This park on Washington State’s Olympic Peninsula is known for its diverse ecosystems, ranging from high peaks to lush rain forests to the Pacific coastline. This mountainous park in Central California is named for the eroded remains of an extinct volcano. This old-growth forest along coastal northern California is famous for its stands of the gigantic redwoods. Located in northern Colorado, this park contains mountains and forests that straddle the Continental Divide. Abutting Kings Canyon National Park in the southern Sierra Nevada Mountains, this park is home to numerous sequoias. Running along the Blue Ridge Mountains in western Virginia, the area’s famed Skyline Drive takes visitors through the length of the park’s forested mountains. This water-filled U.S. national park in northern Minnesota is popular among paddlers and boaters. It is named in honor of the French-Canadian fur traders who traveled through this region. This vast park that encompasses 13,175,799 acres in south-central Alaska is the largest protected area managed by the National Park Service. This park features many geothermal sites, including the famous Old Faithful geyser. It is also home to abundant wildlife. With imposing rock faces like El Capitan and Half Dome, this park in southern California is a rock climber’s paradise. What U.S. national parks are on your wish list? Tell us in the comments. 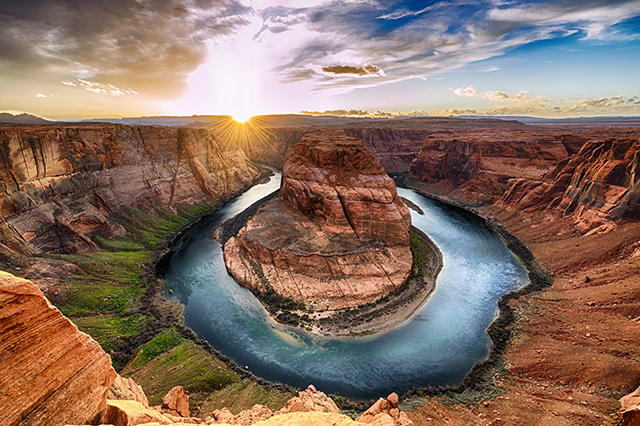 Plan a national park vacation with AAA travel. Article tags: a national park, AAA, acadia national park, alaska, cascades national park, congaree national park, glacier national park, grand teton national park, great smoky mountains national park, hiking trails, home, landscape, national park maine, national park service, national park system, national park wyoming, national parks, olympic national park, park service, redwood national park, road trip, sequoia national park, shenandoah national park, teton national park, the national park service, travel, trip, vacation, voyageurs national park, yellowstone national park, yosemite, yosemite national park. Does AAA have tours of the National Parks, like Collette does? 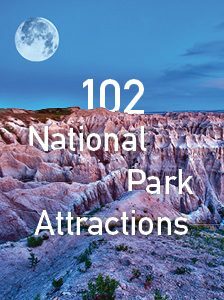 We have lots of national parks tours! Just click onto AAA.com/NationalParks.